With $5000 Innovation Grant, Thanks to Maddie! Dumfries, VA: The Prince William Humane Society received a $5000 grant from Maddie's Fund®, a national family foundation established by Dave and Cheryl Duffield to revolutionize the status and well-being of companion animals, and their Innovation Grants program. Our unique (Fur-ever Together) program’s purpose is to save more lives by reducing pet surrenders to the Shelter, increasing the adoptability of homeless animals, preserving the loving bond between pet owners and pets, and preventing pet homelessness. Pet owners typically relinquish their pets due to behavioral and financial issues. But this is a solvable problem and Thanks to Maddie’s Fund, P.W. Humane Society is implementing a new program whereby we can engage a pet behaviorist to assess perceived behavioral issues, offer one on one assistance to correct those problems and in so doing keep the pets in their homes. Additionally, the behaviorist will be called upon to assess and work with homeless pets at our Adopt Shop in Dumfries to support the adoption process and better match them with their forever home. 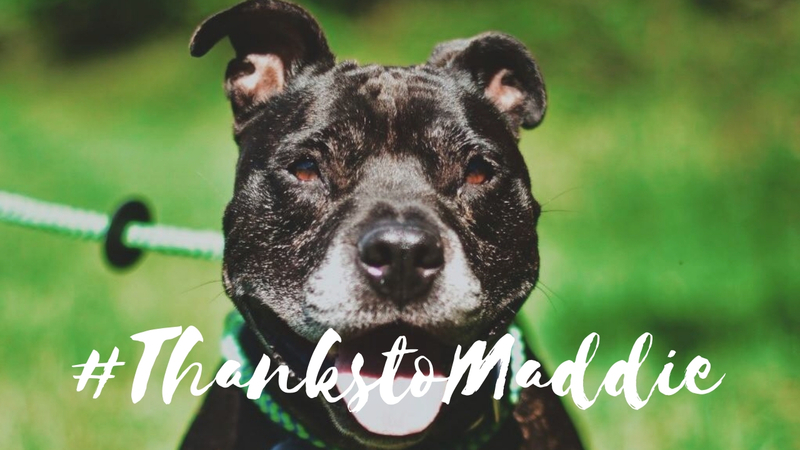 Thanks to Maddie, we will start a ‘train the trainer’ program whereby our staff members will provide pet owners in the community with the knowledge and skills to work with their pets while also being available to support the needs of our adopting families. P.W. Humane Society is striving to solve pet homelessness in our community and Maddie’s Fund is helping us do just that. Maddie's Fund® is a family foundation created in 1994 by Workday® co-founder Dave Duffield and his wife, Cheryl, who have endowed the Foundation with more than $300 million. Since then, the Foundation has awarded more than $225.7 million in grants toward increased community lifesaving, shelter management leadership, shelter medicine education, and foster care across the U.S. The Duffield’s named Maddie's Fund after their Miniature Schnauzer Maddie, who always made them laugh and gave them much joy. Maddie was with Dave and Cheryl for ten years and continues to inspire them today. Maddie's Fund is the fulfillment of a promise to an inspirational dog, investing its resources to create a no-kill nation where every dog and cat is guaranteed a healthy home or habitat. #ThanksToMaddie. About Prince William Humane Society: PWHS is a not for profit organization and Community Partner with the Prince William County Animal Shelter. P.W.H.S. opened an Offsite Adoption Center (Adopt Shop) in Dumfries, VA that transfers healthy, adoptable shelter animals into our custody and care until we find their forever homes. At the Adopt Shop our pets are cared for, socialized, and provided enrichment time daily to assure they get the best chance at their new life and that adopters are getting the best pet for their lifestyle. It is through our combined efforts that more lives are being saved every year and the public is made aware of the advantages of pet adoption.